That is approximately what was going in my mind during today’s swim. The weather was beautiful: one of this rare in Stockholm warm days with sunshine and cloudless sky. 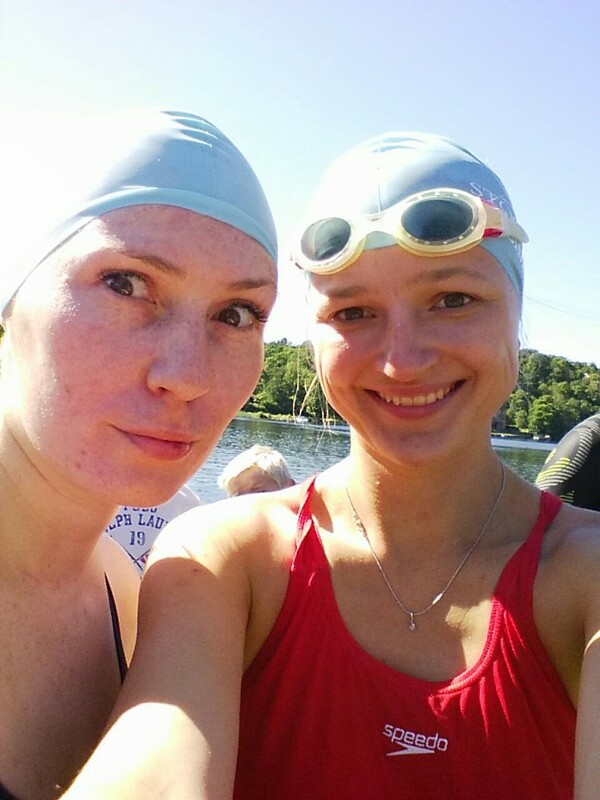 A perfect day for a long swim in Djurgårdsbrunnskanalen. Me and Anna. Scared and pumped before the race. Me and Anna got there on our bikes, the race wasn’t big, just around 200 people for both the 3,3 km distance(that we were doing) and the shorter 1,1 km stretch. I was feeling great. Until the moment I got into the water. It. was. cold. It felt like the Atlantic ocean in Cape Town. It kind of tickles your feet and you have an urge to get out (at least I do). – Why am I doing it?, I asked Anna.